Genealogy research has become the number one past time in the world! Are you interested in family history? Do you need some guidance with your Irish research? Would you like to review your DNA results with an administrator of our Maine Gaeltacht DNA project? The Maine Irish Heritage Center (MIHC) has volunteer genealogists who will be happy to guide you in your search! This is a great way to work on your family tree while helping to raise funds for the MIHC for programming and further enhancement of our Genealogy and DNA research department. If you are new to the Maine Irish Heritage Center it is easy to become a member! We offer a complimentary 15 minute consultation with a genealogist. Click here for more information on membership. The consultation will allow us to determine if your research questions may be answered by our MIHC genealogists. It is important that you come prepared to the 15 minute consultation by completing our genealogy research form. The more detailed information you provide to us the better so that we may determine if we can be of assistance with your research. 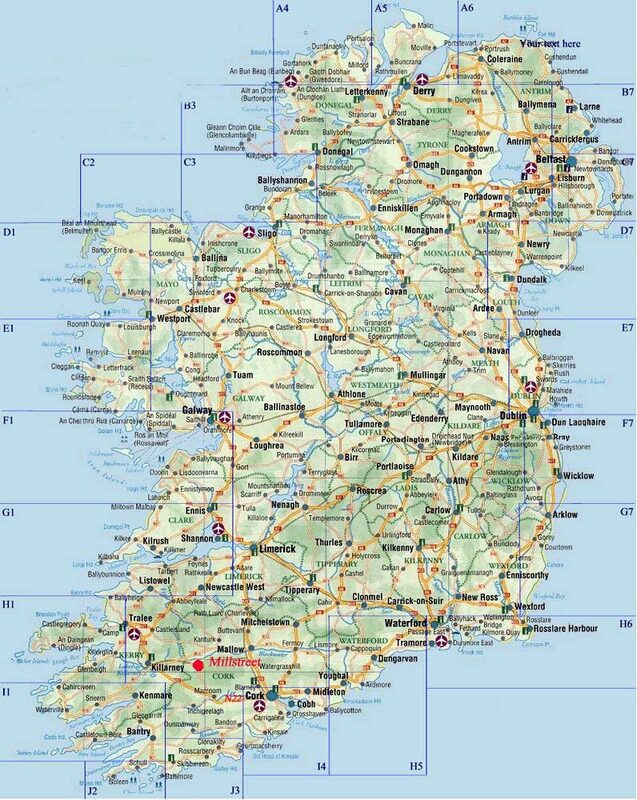 Our two areas of concentration are Connemara County Galway and the Irish of Maine. We may recommend other sources for your research either here or in Ireland. Our offsite research may be limited to the Portland area but will be determined on a case by case basis. Research travel outside the Portland area may require further travel fees. Additionally, any outside fees that are incurred for necessary records during the research process would be in addition to the hourly fee. We work closely with you for approval if this is necessary. Our library/genealogy center is open to the public on Fridays from 10 a.m. to 2 p.m. Genealogists are available for paid members on a first come first serve basis each Friday. It would be most helpful if you arrive with your genealogy research form filled out. Memberships may be obtained in the office prior to arriving in the Library. If you live a distance away and are not able to visit, we would gladly schedule a fifteen minute phone consultation for paid members who have filled out and returned the genealogy research form. Our research archives hold some St. Dominic’s records as well as thousands of Historical obituaries which you may request. We also have a data base of Portland and Maine Irish family names that may also be searched by our researchers. If you would like to take advantage of these services, please contact us for a fee schedule. These records will be searched automatically as part of the above listed research fee. We have St. Dominic’s school records from approximately 1918 to 1930, school yearbooks for various Portland high schools and many Portland city directories. These are available for use by the public during our Friday open hours. We hope that you will take advantage of our services and enjoy being part of the MIHC family. MIHC Genealogist, Margaret Feeney LaCombe, founded the Maine Gaeltacht DNA project in 2011. The project has been successfully connecting cousins in Greater Portland, in Maine, around the country and around the world. The test type we use is an autosomal test called “Family Finder.” The cost is a one-time $79 plus shipping. There are no subscription fees. Patrons can purchase kits directly from the testing company, FamilyTreeDNA. This test procedure is very simple, just a swab of your cheeks with a cotton swab. Results will post within six to eight weeks. For more information on the Maine Gaeltacht DNA project, click here. Consultation hours are Fridays 10:00 am-2:00 pm or by appointment. Matt is a lifelong resident of Greater Portland and graduated from South Portland High School in 1992. He has been a genealogical and historical research since 1981. Since 1996, Matt has been the author of Maine history articles for many magazines, including Portland, Galway Roots and Discover Maine. He was a contributing writer to several books, including They Changed Their Sky, the Irish in Maine (2004) and John Ford in Focus (2008). He is currently working on a history of the Portland Irish during the Civil War. Matt is the writer and compiler of The Downeast Shamrock, an Irish genealogy newsletter, and the Maine Irish Heritage Trail. In 2012, he received a “40 Under 40” award from the Irish Echo. Deb has had an interest in Irish family history for many years. As a tribute to her parents, she and her siblings researched their Joyce line back to Galway. As a result, all 8 of the Sullivan siblings received their Irish citizenship together at the Boston Consulate in 2001 which is an accomplishment that she is very proud of. Deb has done presentations for the Maine Irish Heritage Center with fellow volunteers in Ireland and all over New England. Deb enjoys her many Volunteer opportunities at MIHC which include being involved with organizing our MIHC parade floats, volunteering at weddings and other events and her work with the genealogy and DNA departments. Other passions include spending time with her grandchildren, hiking in National Parks and enjoying the many outdoor activities that the State of Maine offers. Helen is a Maine Irish Heritage Center volunteer genealogist and administrator for the Aran Islands-Galway DNA project through Family Tree DNA. Before joining MIHC she was a public speaker and environmental educator with birds of prey, teaching across the state of Maine to children and seniors alike about the impact we have on our surroundings and its effect on wildlife. Born and raised in Portland Maine, Helen knew little of her Irish roots until she found herself with extra time on her hands when her daughter went off to college. Helen started searching for the Irish ancestors she knew came to Portland in the early 1800’s. Twenty years later, after many dead ends in burned, lost or inaccurate records, DNA has helped Helen find many Connemara and Aran Island cousins. Helen is committed to helping others find their Irish roots through DNA, and continuing to trace her own roots back to the green hills and smiling eyes. Margaret Feeney Lacombe is a Cathedral High School (Portland) and University of Maine Orono graduate. She has 30-plus year researcher of the Irish in Maine and their descendants and cousins all over the United States, from Massachusetts to Minnesota to California. Through her research, she created the genealogy database used at the Maine Irish Heritage Center to help patrons make connections and expand family trees. Margaret currently focused on genetic genealogy and DNA testing and is the administrator of the Maine Gaeltacht project. Maureen is a Maine Irish Heritage Center(MIHC) Founding Board Chair as well as an Ambassador to the Emigration and Diaspora Centre in Carna, Galway, Ireland. She is a core team member of MIHC’s Genealogy Department and the Maine Irish Gaeltacht DNA project. Maureen has had a life-long love of her Irish heritage. Her personal family research has grown to include Connemara genealogy for families on both sides of the pond. Her true love is to uncover the family stories that arise from DNA connections. Maureen is a Portland, Maine native and a graduate of the University of Maine. The MIHC is proud to announce that Maureen was recently recognized by the Irish Echo newspaper for her work with the Diaspora. In November 2017 she was honored at a ceremony in Boston and presented with a Golden Bridges award. Protect, preserve and restore the historic landmark that was formerly St. Dominic’s Church, a hub of the early Irish Community in Maine.